The first three volumes of my new series at Edition Margaux got published!!! My music got added to many playlists on Spotify! And here my next video from the video session with Jakob Schmidt in Weimar. Victor Kozlov wrote “The white queen” for me after we met in St.Petersburg in 2009! 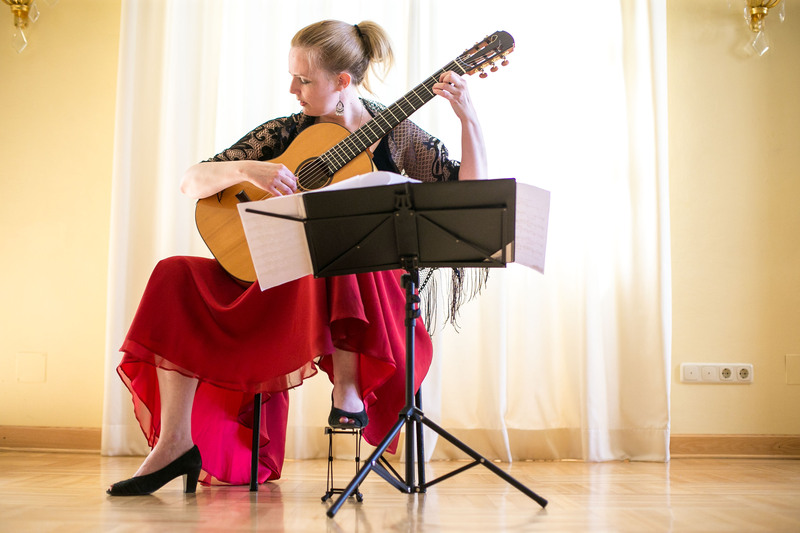 Women of the classical guitar, a website about women composers, luthiers, research etc. Fuoco from my Tristemusette, album completely dedicated to the work of Roland Dyens. I loooove to play this piece as an encore..
Long profound review in italian on the dotguitar classical guitar online magazine!. 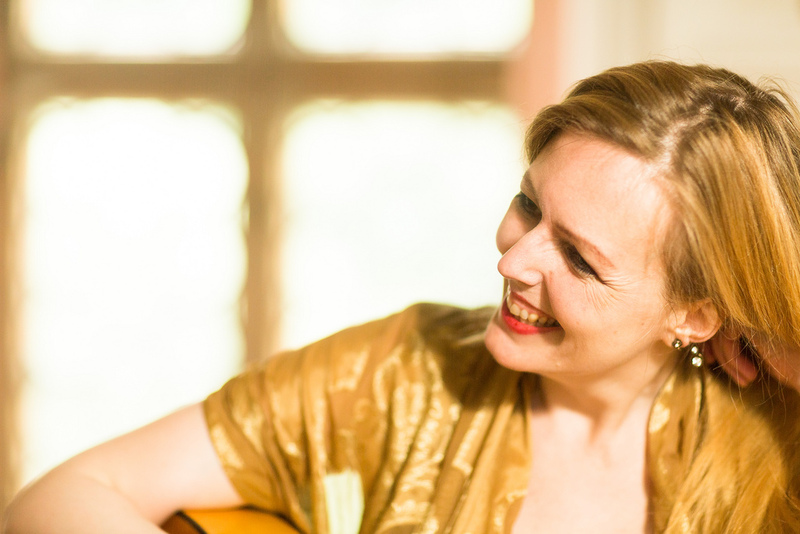 Wonderful review about my new CD “Guitar Ladies in the Akustik Gitarre 1/17 by Harald Wittig. So happy about it…and yes, it is a myth, that musicians don’t read reviews!! Wonderful review for my CD in the Akustik Gitarre 1/17 by Harald Wittig. Finally my new CD is there, so happy about this very special project, only women composer and loooots of beautiful music! My new CD is there! So proud to finally share my secret with you, yes, I am composing …. here is one of my most recent pieces: Spiralen …more pieces to be recorded soon! Just recorded two more home videos with beautiful romantic music, the kind of music I love to play just for myself… Hope you like it too! New book by Andrea Aguzzi: Chatting with guitarists including a big interview with me! Interview with me in Daily Trust Nigeria! 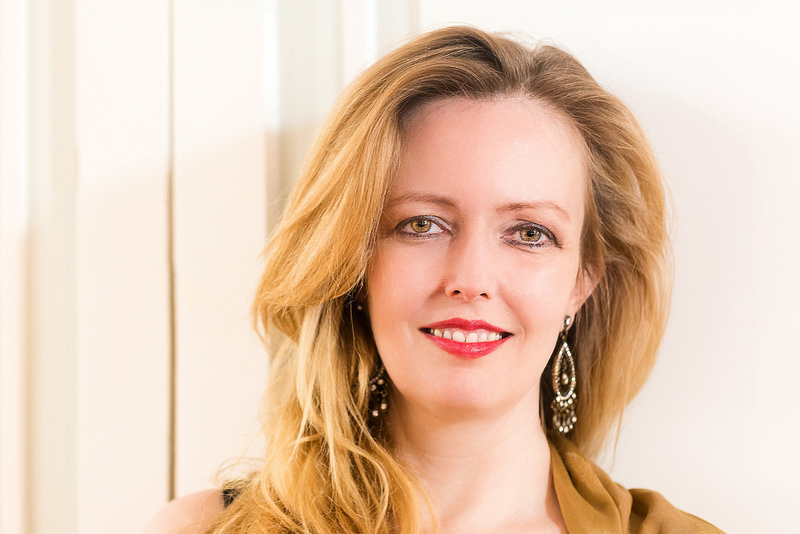 “Heike Matthiesen darf getrost als Virtuosin ihres Faches bezeichnet werden. Mit Emotion und Charisma begeisterte sie ihr Publikum. 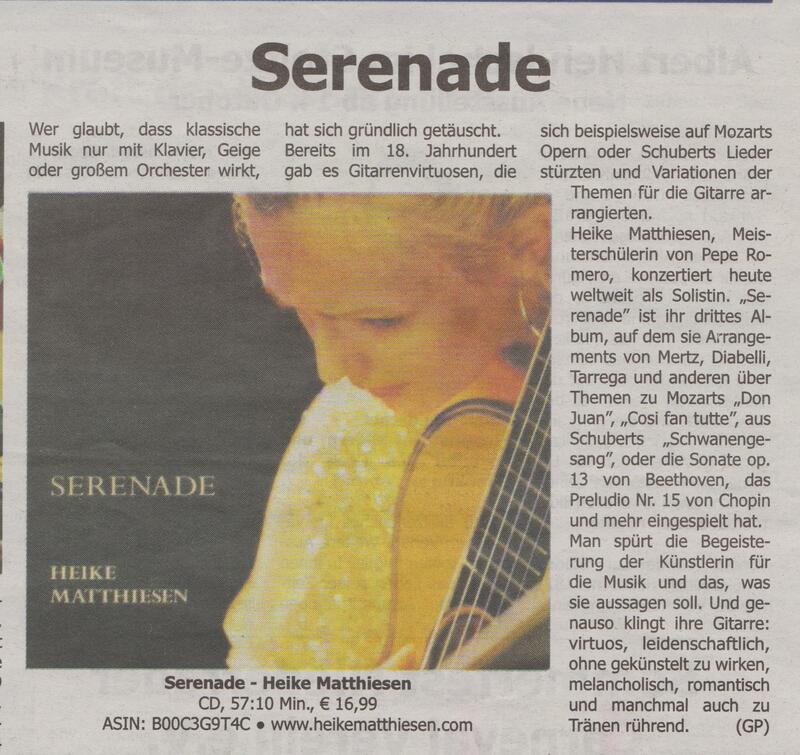 beautiful review about my concert last week in Bad Zwesten. Interview with me on the Hellostage-blog! Great questions with some crazy answers…. Großer Dank an die NMZ für die Empfehlung als Weihnachtsgeschenk!!! Meine CD ist bei CDbaby und Amazon erhältlich, außerdem bei beiden natürlich auch als Download! My new promo-video just got published! Thanks to Galaxy Stars Productions for the wonderful work! Neues Interview mit mir auf der Seite des Musikhauses Kirstein, viele offene und ausführliche Antworten von mir, es war ein echtes Vergnügen! I will be the next days at the Musikmesse , looking forward to meet you there!!! Schöne Kritik im Schwarzwälder Boten über mein Konzert bei den Meisterkonzerten Altenstieg. ….Denn was sich in diesen 57:10minütigen Darbietungen mitunter an geballter Virtuosität offenbart wäre nicht der einzige Grund, diesen Tonträger zu mögen. Bezirzt wird der Hörer auf sehr intensive Art mit lustvollen Melodien, mit Opernarien oder Liedern der “großen Musik”, die nun auf einem Instrument wiedergegeben werden, das ( noch immer) als das “Orchester im Kleinen “gilt. Interessant ist dabei zu beobachten, dass die Gitarre bei einer perfekten Interpretation , so wie sie Heike Matthiesen vorführt, sich gewaltig in Szene setzt und den Hörer für sich gewinnt. Eine Zauberin? 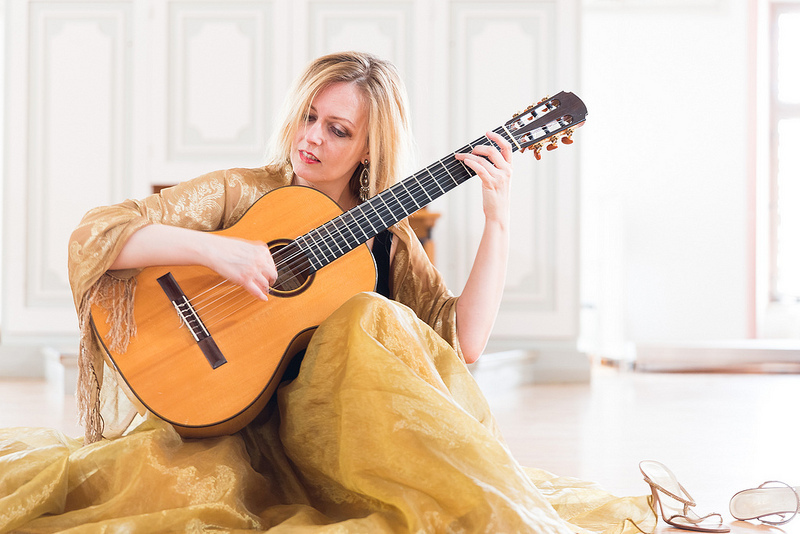 ….Heike Matthiesen legt mit ihrer CD ein sowohl gitarrentypisches wie auch hörerfreundliches Programm vor, das den Schritt wagt, sich neben Werke der klassischen Instrumente bzw. Besetzungen zu stellen. Ohne Einschränkung kann man attestieren, daß ihre Gitarre(ninterpretation) diesem nicht gerade geringen Anspruch gerecht wird. “Sembra quasi incredibile parlarne oggi come oggi, ma provate a pensare a un mondo dove non esiste musica registrata, non solo niente i-Pod o mp3 o Spootify, ma neanche niente dischi, niente di analogico, neanche un 33 giri. L’unico modo per poter ascoltare la musica è trovare qualcuno che la suoni .. andare ai concerti. Oppure mettersi a suonare. Siamo tra la fine del settecento e l’ottocento, periodo d’oro della musica romantica e dello sviluppo dell’opera. E molti compositori .. diciamo che colgono la palla al balzo, cercando di unire il suono dolce della chitarra classica con le migliori melodie dell’opera, trascrivendo e adattandole per la la sei corde. E non solo musiche operistiche ma anche altro repertorio per altri strumenti. Jaques Attali scrive nel suo “Noise” che proprio in questo periodo, guarda caso nasce l’editoria musicale e si impone la necessità di una regolazione del copyright per proteggere i diritti d’autore. Ma perché ne parliamo? 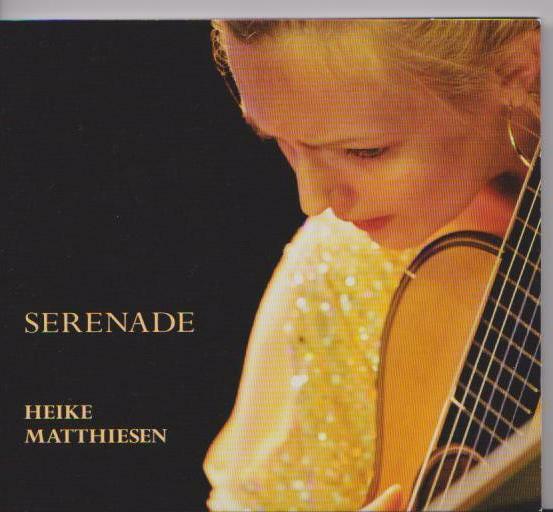 Perché questo cd intitolato “Serenade” e suonato magistralmente dalla brava chitarrista Heike Matthiesen sembra proprio cogliere e afferrare quel particolare periodo musicale. Le musiche suonate sono tutte trascrizione operistiche ad opera di Johan Kaspar Mertz, Francisco Tarrega, Anton Diabelli, Joseph Kreutzer, Simon Molitor, Jan Nepomucem de Brobrowics e Jose Ferrer. Mozart, Schubert, Beethoven gli autori originali più trascritti e il Don Juan l’opera più trascritta. about the normality of being present in social media for artists..
there are always just calendars putting the dates by year but never by day, so here ist is! should musicians play with score?